SBS TV series Rooftop Prince ascended the throne in the viewership ratings war among Wednesday and Thursday drama by taking the first position. Premiered on March 21 this year, the ratings of Rooftop Prince have been on the rise consistently, and it finally clinches the title of champion for Wednesday and Thursday drama. When Rooftop Prince scored the viewership rating of 9.8 of its debut episode 1, the ground was somewhat shaken. In contrast, the competing drama The King 2 Hearts recorded an astonishing 16.2% rating in its first episode to inherit intact the popularity of The Moon that Embraces the Sun. In the first episode, the gap was 6.4%. 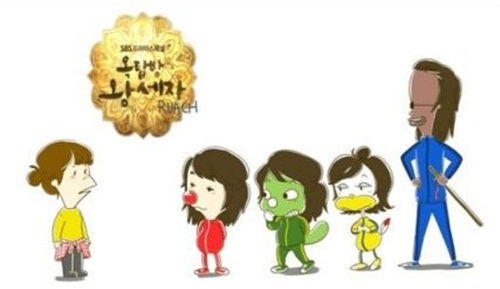 However, from episode 2, with unique funny plot of Rooftop Prince is staged, given hope to recovery. Later Rooftop Prince has repetitively created several talking points, and the viewership ratings have continued to rise. In the 6 episodes after the premiere, the ratings of Rooftop Prince have shown frightening upward trend. Park Ha (Han Ji Min) in Rooftop Prince gradually recovers her childhood memories, and the plot is becoming increasingly tension, together with the unfolding of life of crown prince and the confidant trio in the company, the viewership ratings are expected to continue to rise.